High Density Polyethylene (HDPE) plastic. Includes 2 strips of installation foam. Note: Enough foam is included with all Post Guards for normal installation. Purchase this item if yo.. Vibrant American flag design4.5" x 52" or 7" x 52" ..
Order your festive Candy Cane sox today! Nylon sock 4.5"x52" or 7"x52" .. 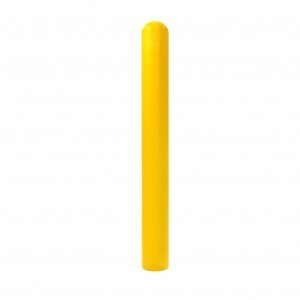 Samples of the plastic color options for Post Guard Bollard Covers.Credit available upon sale of Pos..
Sizing rings allow you to determine what size bollard cover you need. Credit available upon sal..
Order your festive Halloween Sox today!Nylon sock4"x52" or 7"x52".. Vibrant Valentine's Day design4.5" x 52" or 7" x 52" ..
Includes: American Flag, Candy Cane, Valentine's, & Halloween Sox!Nylon sock 4.5"x52" or 7"..